I'd just woken up when I read Joe's post -- last night I stayed up late getting my short story A Night In The Country ready for publishing on Amazon -- but I hope I managed to write something marginally coherent in the comments. Very well said Joe, but it was strange to see you write in a more subdued tone. Anyway, I agree. One thing that has always irked me when folks complain about Walmart artificially lowering prices is that ... well, sometimes I think it's easy to lose sight of how cash poor some folks are, especially families. Getting something for 50 cents cheaper can make a difference. Of course one doesn't need books in the same way one needs food, but -- and I hope this doesn't sound cliche -- books do feed the soul and, as I said, 50 cents (or less!) can make a dig difference. Even though I think the Big-6 inflating the prices of books makes lower priced indie books more attractive, you're right. It hurts the book business and that hurts everyone. Writers, booksellers and especially readers. Of course now I'm looking at my comment about Walmart artificially lowering prices and thinking about all the mom and pop shops which went out of business because they couldn't compete against the big chain. Is that what is happening with Amazon? Will the act of Amazon selling books for lower prices drive indie, or self-published, writers out of business? No, I don't believe so. Amazon is the self-published writers' biggest business ally. That's true right now and I don't see why it would change in the foreseeable future. That said, Amazon isn't a friend to publishers who want to sell ebooks at inflated prices. Some publishers complain that if they don't have the kind of monopoly control they need to do this, that they'll go out of business. Further, they say that if they go out of business that the world of publishing, the world of books, will be a poorer place and, ultimately, readers will suffer. Yes, I do think that if publishers are prevented from fixing ebook prices artificially high, or if they are forced to give authors better ebook royalties (a topic for another post), that many of them will go out of business. Let's say that's true. I believe that although some, perhaps many, publishers will fold that there will be many publishers who will survive and thrive. These publishers will be the new Big-X. Publishing won't be dead, it'll just be different. 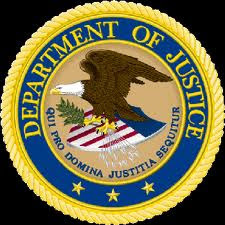 "Joe Konrath's Letter To The Department Of Justice," copyright© 2012 by Karen Woodward.